Having fun while doing good is part of celebrating the abundant life that we find in Jesus. Calvary hosts a number of fun events throughout the year that the surrounding community is welcome to attend. This page doesn't include special services held in conjunction with religious holidays or celebrations. For more details on those services, visit our services page. For a complete look at what is coming up in the next few months, check out the Church Event Calendar. 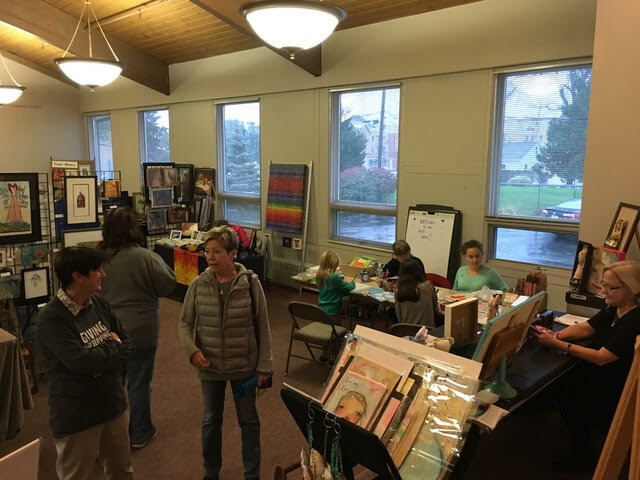 Held in conjunction with the Lombard Christmas Mart in November, the Calvary Art Fair features creative works crafted by local artists. Got a sweet tooth? Need homemade cookies for your holiday party? 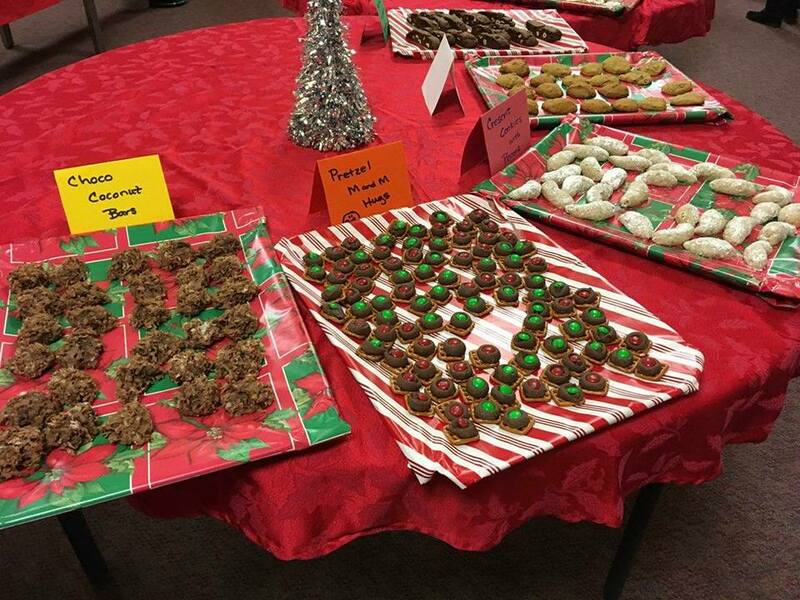 Calvary bakers showcase holiday treats for purchase by the pound. Held on the first Saturday evening in December during Lombard’s Jinglebell Jubilee, and the following Sunday morning from 9am to noon. Local residents come by the carful to choose their favorites. 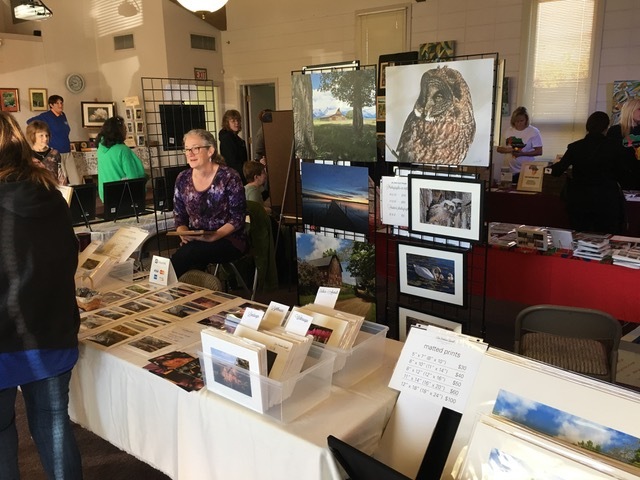 The second Saturday of every month, Calvary hosts an afternoon marketplace from 12-3pm in support of local vendors and artists. Clothes, jewelry, candles, and decor are just a sampling of what you might find! 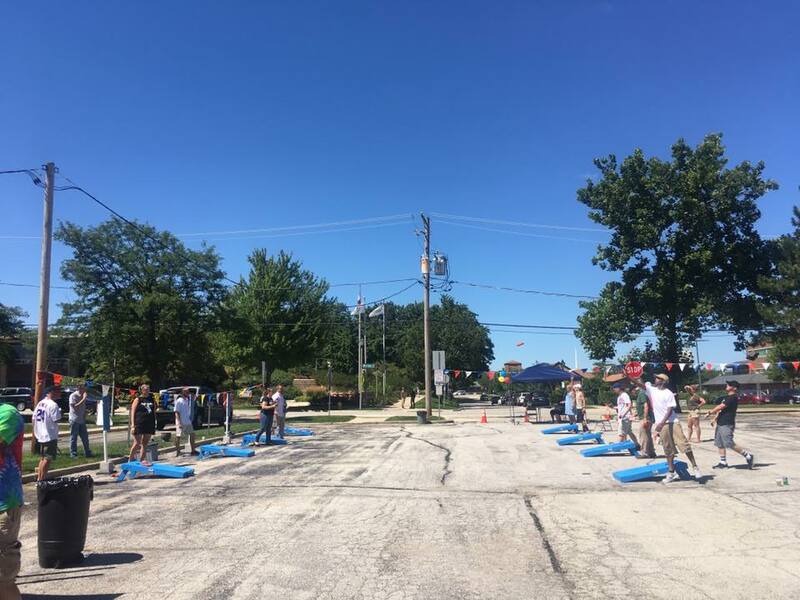 Local residents come together to compete in a 50/50 Bags Tournament in the heat of summer. Tournament proceeds are split by the winner and a local charity. Candy, costume contests, music and games have made this a neighborhood favorite. 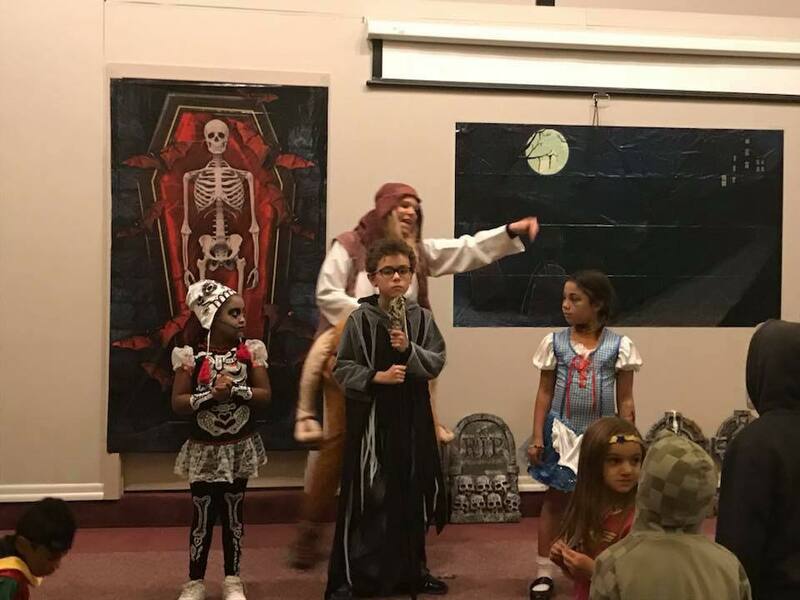 Free to all to attend, Calvary's Halloween Party is a sweet time for kids and adults alike. 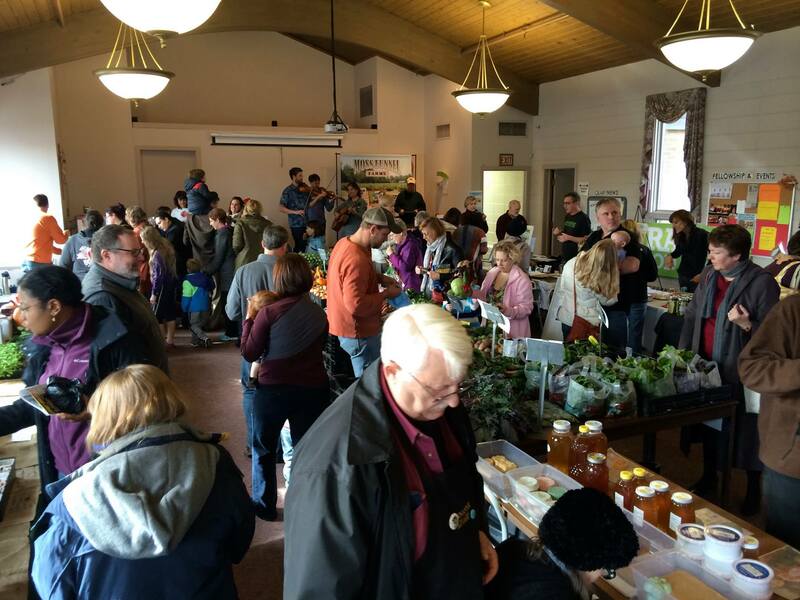 Every January, Calvary hosts Faith in Place's Winter Farmers Market in the Parish Hall. 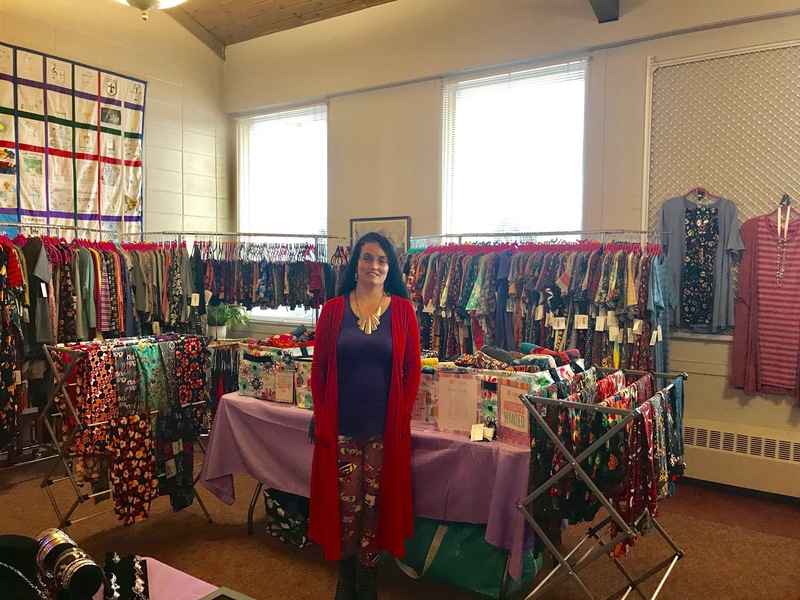 (2019's market will be held on January 20.) The markets provide an additional source of income for local vendors during the off-season, promote sustainable farming methods and economic justice for regional farm families, encourage healthy, wholesome eating, and support the building of relationships between producers and consumers.